Support 'No Kid Hungry' at Church's Chicken to End Childhood Hunger! Support ‘No Kid Hungry’ at Church’s Chicken to End Childhood Hunger! Howdy, Nomsters! 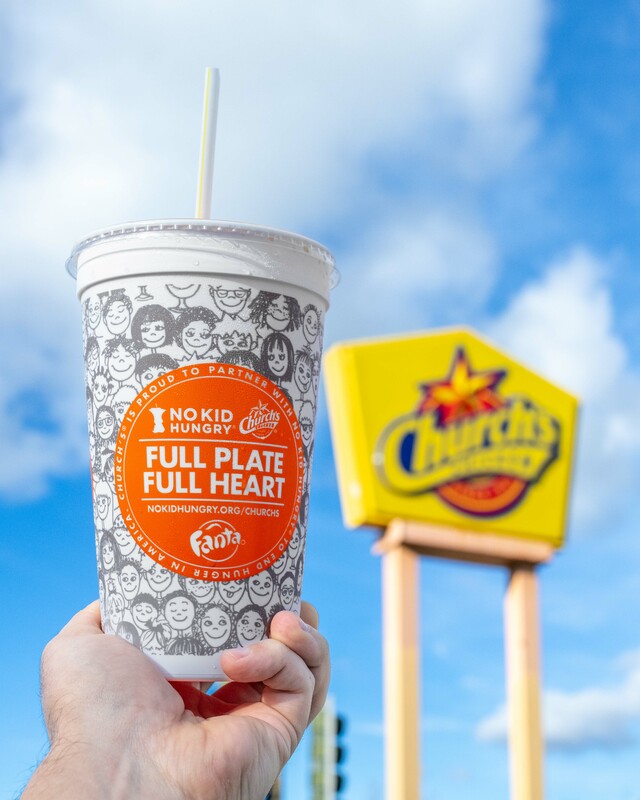 We always try to give you ultra bomb recommendations for food and drinks, but today is extra special because we’ve partnered with Church’s Chicken and Fanta to help support the incredible ‘No Kid Hungry‘ campaign, which is run by the non-profit, Share Our Strength. Their goal is simple and, in fact, is the name itself. In their own words, “[The fact that the goal is straight forward] doesn’t mean ending childhood hunger is easy… The job isn’t done, and won’t be done until we’ve met that promise and every single child in America has the food they need to grow up healthy and strong.” Read on to see just how easy it is to make a huge impact on such an important issue. No Kid Hungry has partners ranging from major brands to restaurants and chefs who all come together to help the 1 in 6 children in the US who face hunger every day. 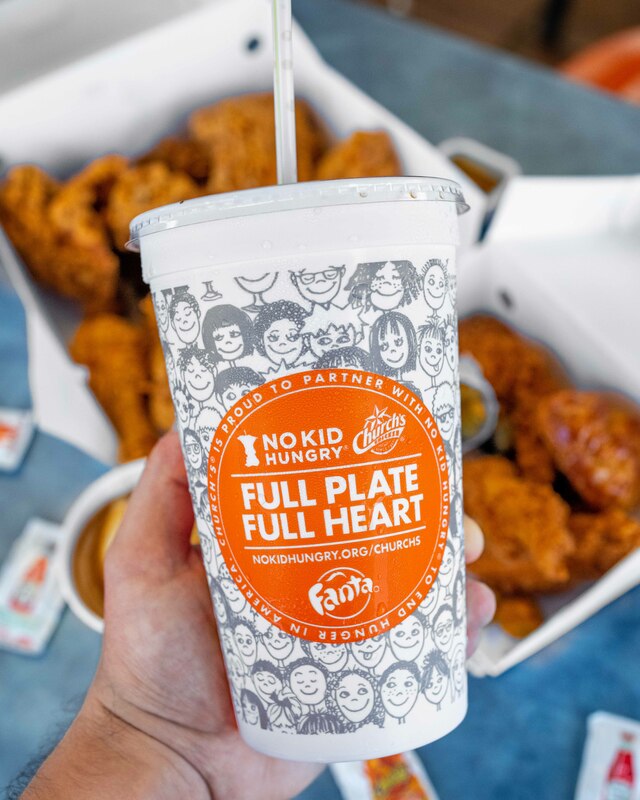 Church’s Chicken has been an official partner of No Kid Hungry since 2016 and they have raised over $700,000 alone for this awesome cause, so we couldn’t be happier to help everyone involved reach more people. How Can You Help No Kid Hungry? To make a meaningful impact and be a part of this amazing cause, there’s nothing extra you really have to do! 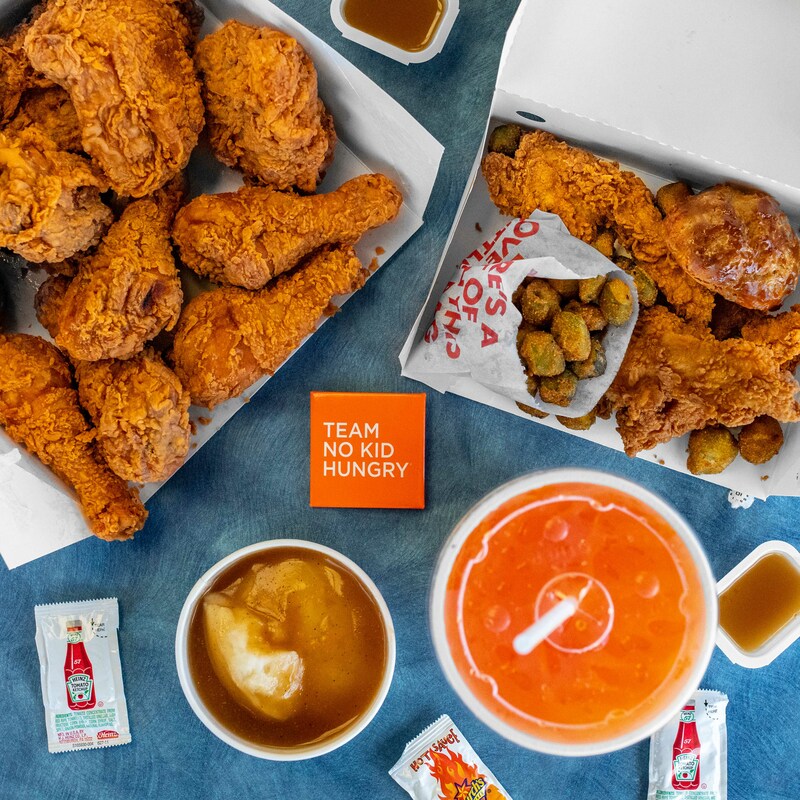 Simply head on over to any Church’s Chicken location near you and purchase your food as usual, but make sure to order a large Fanta drink with it. You’ll receive the large Fanta Limited Edition #NoKidHungry cup (pictured below) and a portion of that sale will go directly to the No Kid Hungry campaign. That’s it! Just indulge in some delicious fried chicken and grab your favorite drink (we go for Orange Fanta because it’s so refreshing and fun!) to help hungry children across the US. 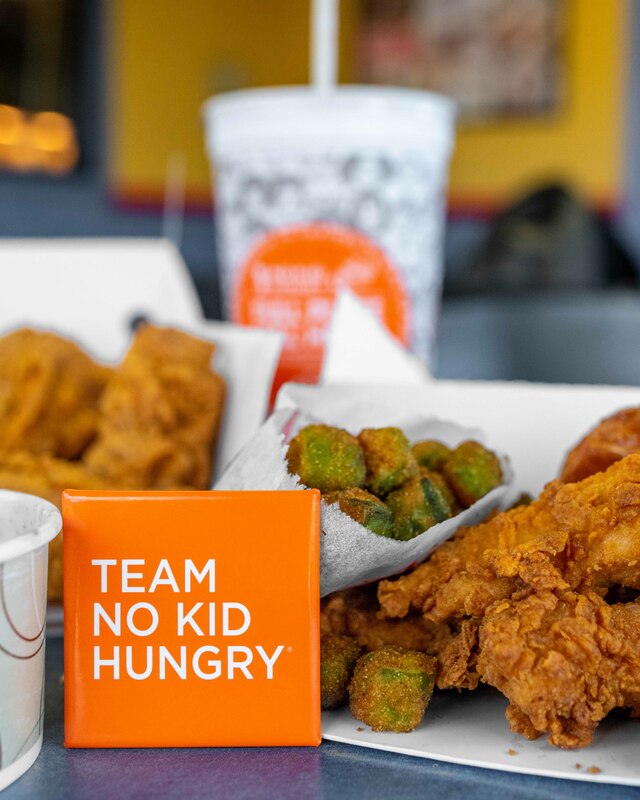 If you don’t live near a Church’s Chicken location, but you still want to help out, you can head directly to www.nokidhungry.org/churchs and make a donation. It’s moments like these where we realize how truly lucky we are to have the luxury to eat out and not worry about our next meal. It’s also organizations like No Kid Hungry and their dedicated supporters like Church’s Chicken, Fanta, and all the selfless chefs who donate their time to make the world a better place that inspire us to do things bigger than ourselves. It’s a great cause, and it’s super easy to contribute, so we encourage you to be a part! Till next time, Nomsters!